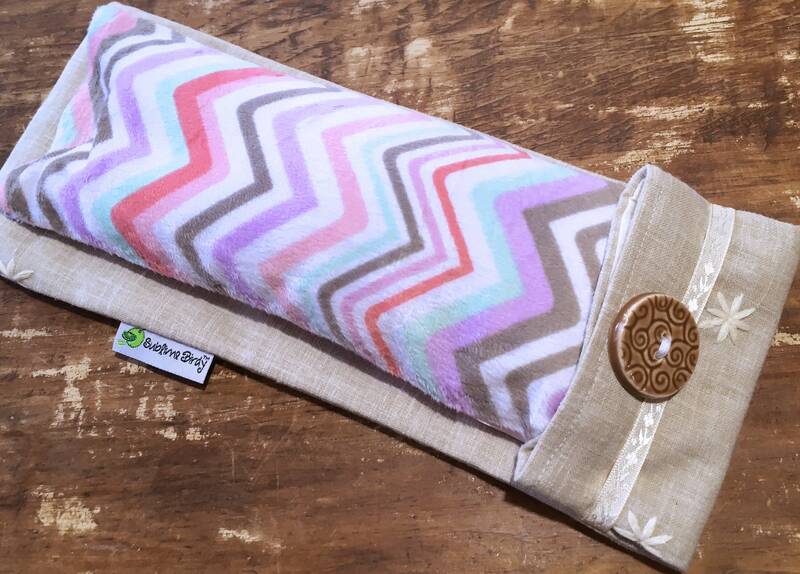 Fruity Chevron Flax Seed Eye Pillow with Washable Flax Sack Cover, you choose aromatherapy scent! 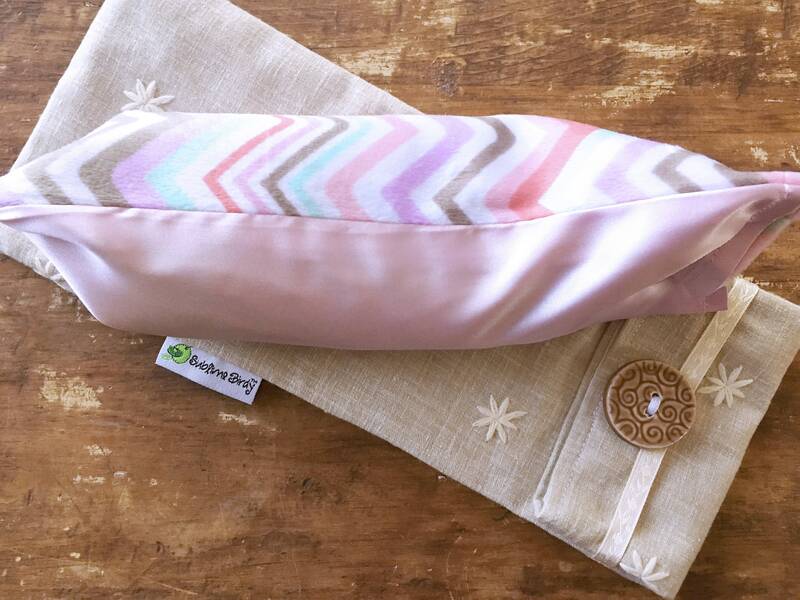 The Chevron Flax Eye Pillow is made with a fruity colored chevron striped minky fabric on one side and a cool matching pink satin on the other. Removable flax sack keeps inner flax sack clean while heating. 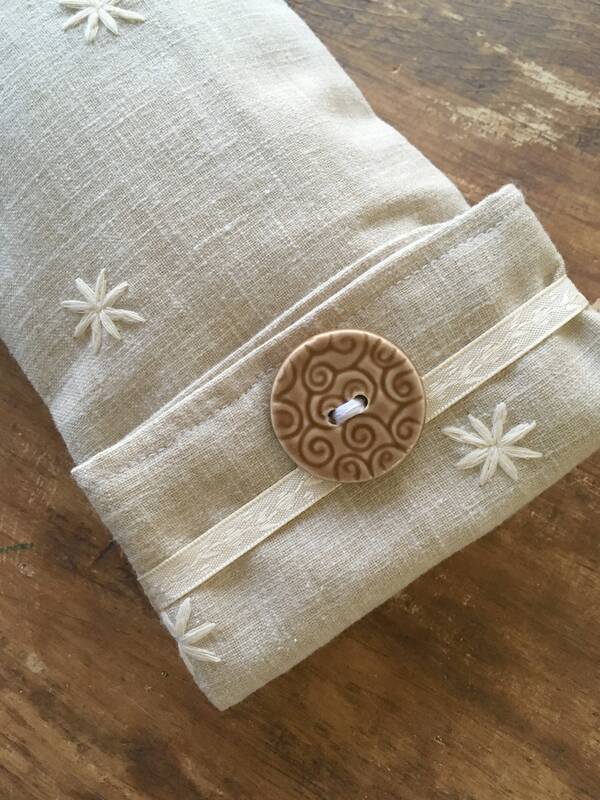 Lined dust cover is made of a gorgeous linen with embroidered stars. Dust cover will keep it all clean while storing, ceramic button keeps cover closed. The flax seed sack is removable from the the sack cover so that the cover can be washed, dust cover included to keep the mask dust free and clean while storing. • Flax seeds are small and smooth and conform nicely to where they are applied and will not poke through the material. • Flax holds heat or cold well. 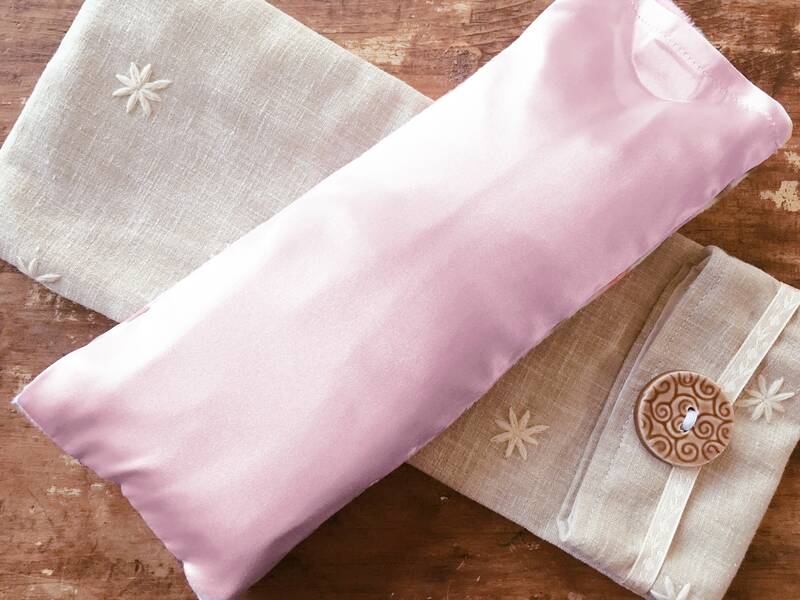 To use simply take the flax sack out of the flax sack liner and place into the freezer for a bit of time or heat in the microwave for a minute or less, insert back into sack liner for a gentle therapeutic affect. • Sealed inner flax sack is made of a cotton or linen material and is not washable. • The face mask has a Velcro closure and materials are pre-washed. To freshen hang outside in the sunshine, hand wash or launder on a gentle cycle. 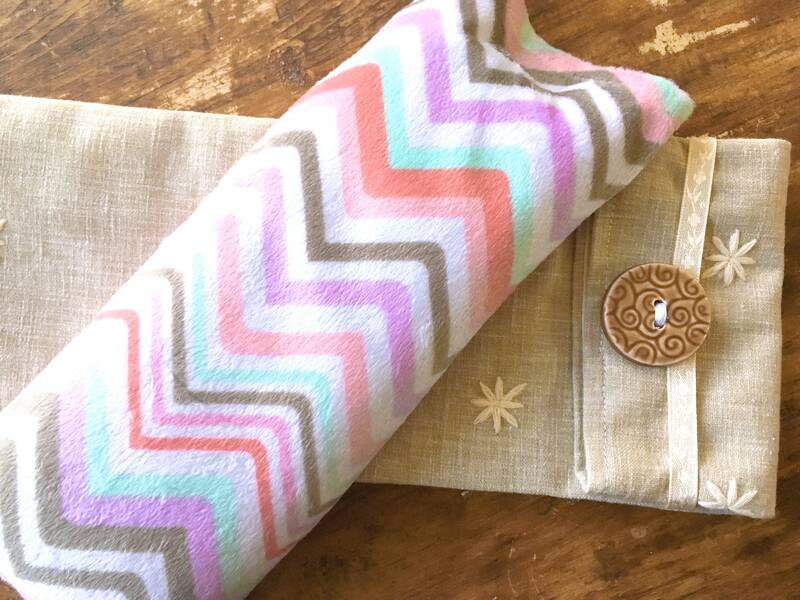 The outside dust cover is made of cotton and stays shut with ribbon and button. Total size is approximately 12 inches long by 7 inches high and comes packaged in a clear cello bag to contain scent. If you are sensitive to scent then you can choose a plain flax sack, the infused flax seed with synergistic blends are made with pure essential oils, and are formulated based on traditional use and what herbalists have discovered through time about the benefits of oils.